From the famous seaside resort of Blackpool, to the 300-square-mile Forest of Bowland, Lancashire has something for everyone. This north west county has world class festivals, events and attractions, yet remains steeped in centuries-old heritage and legendary folklore. Beaches, forest, hills and heritage are accompanied by some of the best campsites in northern England and we’ve picked out our favourites. 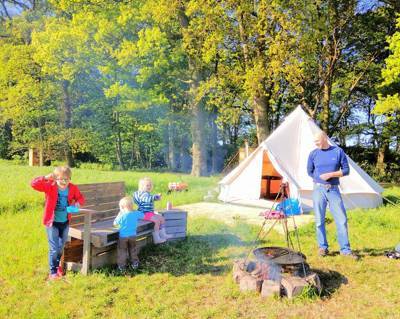 Browse our selection of Lancashire’s luxury glamping and traditional campsites below. From the famous seaside resort of Blackpool to the 300-square-mile Forest of Bowland, Lancashire has something for everyone. This north-west county has world class festivals, events and attractions, yet remains steeped in centuries-old heritage and legendary folklore. Beaches, forests, hills and heritage are accompanied by some of the best campsites in northern England. Lancashire camping and glamping holidays give you the chance to explore both coast and countryside as well as the county’s canals. You can pitch your tent amid the rural beauty and enjoy the great outdoors at a great-value price or go glamping for a more luxurious stay. This north-west county has been providing great campsites for years and now has fantastic glamping sites on offer too. We’ve handpicked the best Lancashire campsites and glamping sites so you can find the spot that’s right for you whether that’s a rural campsite where you can pitch a tent for peace and quiet or a sociable glamping site where you can make friends around a communal campfire. If you’re looking for a classic camping holiday, the range of Lancashire campsites will not disappoint. There are lots of lovely farm-based campsites where pitching your tent in a paddock surrounded by a dry-stone wall or in a flower-filled meadow is the order of the day. There are rural sites on working farms where you can enjoy a taste of the good life with chickens, sheep and goats as your neighbours. There are sites with sea views and sites which are a short walk from the village pub where you can enjoy a bit of northern hospitality with a Lancashire hotpot or pie. Tent camping in Lancashire can be on a small site where cooking is done over a campfire or on a campsite with electric hook-up so you can bring along a few home comforts. You can use our “Refine Search” feature to whittle down the campsites on offer and find your perfect pitch. There are plenty of glamping options in Lancashire too and you can use our search features to find the places that suit you best. If you like the idea of sleeping under canvas but don’t own your own tent (or just don’t fancy pitching it), you might like to think about glamping in a bell tent, tipi, yurt or safari tent. Each has their own charm with bell tents usually offering the closest experience to classic camping and tipis, yurts and safari tents typically offering more space, furniture and furnishings. 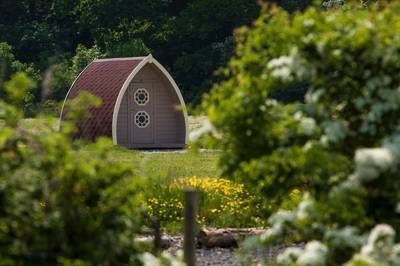 Shepherd’s huts, gypsy caravans, log cabins and pods can feel a little more sturdy than their canvas counterparts and are a great option if you’re glamping in the cooler months or just like the charm of a tiny home-from-home. Often they’ll be kitted out with their own kitchenette and some even have en suite bathrooms so you can avoid those midnight runs to the toilet! If you are looking for something completely different, keep your eyes peeled for the really quirky glamping options like treehouses, vintage caravans, converted vehicles and modern geodesic domes. 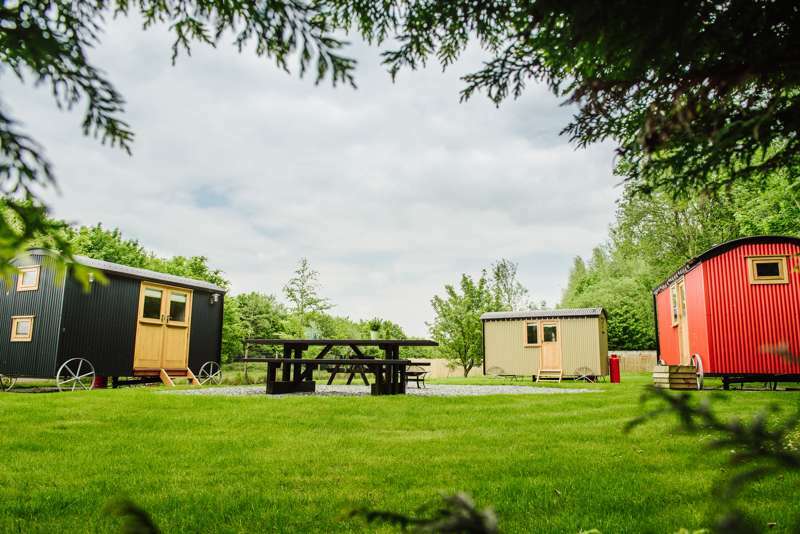 The range of glamping sites in Lancashire and further afield continues to grow and surprises even the Cool Camping crew – and we’ve seen our fair share of campsites! It’s hard to find a child that doesn’t like camping so if you are looking for a family-friendly holiday in Lancashire, camping and glamping are where it’s at. The fresh air, the freedom and the chance to make new friends on site – it’s all magical to kids. And have you ever noticed how even the weather can’t dampen their spirits? Come rain or shine, camping and glamping holidays are the chance for adventure after adventure for kids of all ages and you can even bring your pets along too, with a whole host of dog-friendly campsites on offer in the county. If you can tear your children away from their new-found freedom and friends, there’s no shortage of family-friendly activities in Lancashire so days out exploring are no problem either. If you're not already camping on the coast, you can take them to the beaches for a day of building sandcastles and swimming in the sea or to experience the thrills and spills of Blackpool’s pleasure beach. Older kids will be bewitched by the stories of the Pendle witches while younger ones can enjoy spotting farm animals while out on country walks. 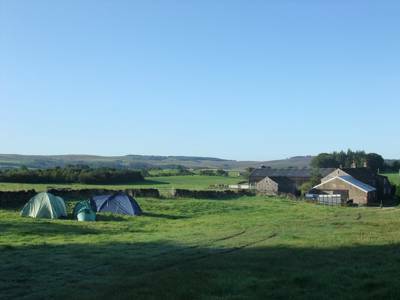 If you love the great outdoors then camping in or near The Forest of Bowland is a great idea. It’s the biggest of Lancashire’s two Areas of Outstanding Natural Beauty and offers 312 square miles to explore. For active families, fell runners, hikers, cyclists and climbers it’s a great area to base yourself with walking and cycling trails across the gritstone fells and moorland. And if you fancy a bit more adventure you can call in the expertise of one of the local companies who specialise in outdoor pursuits. You won’t want to miss Pendle Hill which is separated from the Forest of Bowland by the Ribble Valley but included within the AONB. Pendle Hill is the most famous part of another ancient forest, perhaps unsurprisingly called the Forest of Pendle. The hill is a prominent landmark offering great views and is also the site of the famous 17th-century Pendle witch trials and the founding of the Quaker movement. Lancashire’s second Area of Outstanding Natural Beauty, Arnside and Silverdale, is much more modestly sized at 28 square miles but still well worth a visit. It includes Morecambe Bay and the RSPB’s Leighton Moss Reserve so is a great place for wildlife lovers and bird watchers to explore. 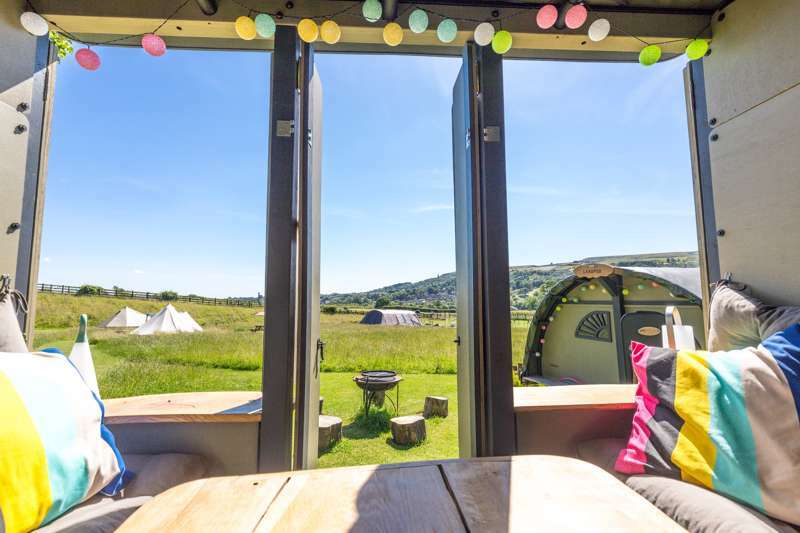 Lancashire is a great destination for a camping or glamping holiday in the north of England offering the chance to see unspoilt countryside, rural towns and villages and a stunning coastline – not to mention some of its ritzier highlights like Blackpool. As a destination, it may not have the reputation of the Lake District or the Yorkshire Dales, but that’s part of its charm. Lesser-explored and quieter, you’ll find rugged beauty in its Forest of Bowland and timeless charm in its countryside and rural villages. Its location means it offers a particularly easy escape for city dwellers from Manchester, Liverpool, Preston, Blackburn and Leeds. Easily accessible from all those places, Lancashire makes a great location for a weekend getaway where you can escape the smog and the stress of the city to relax in nature. The only problem being that a weekend may not be long enough to explore all that Lancashire has to offer. You may be content to just take it easy and make the most of your camping or glamping site in Lancashire but if you do want to get out and explore there’s plenty to see and do in the county. Visit Lancashire provides official tourist information but you might like to take a look at the Cool Camping list of highlights below too. 1. Explore the Forest of Bowland. A designated Area of Outstanding Natural Beauty, the Forest of Bowland is not all forest but 312 square miles of gritstone fells on the edge of the Pennines with wooded areas, farmland and moorland. Horse-riding, cycling and hiking are all popular activities in the area which includes Pendle Hill within its designated boundaries despite it being geographically separate. 2. Walk up Pendle Hill. A good route starts in the village of Barley and takes you past reservoirs, over dry-stone walls and pleasant countryside to the 557-metre summit where you’ll have views of Pemble, the surrounding villages and the Ribble Valley. But there’s a dark side to all this rural beauty as the area was home to the Pendle witches who were executed after the famous Pendle witch trials back in the 17th century and there are plenty of reminders. 3. Go on the Trail of the Pendle Witches. Starting at the Pendle Heritage Centre you can learn about the Pendle witches and follow in their footsteps. There is a long-distance footpath of 51 miles which ends at Lancaster Castle where 11 locals faced trial for witchcraft. Unless you’re a dedicated hiker you may want to tackle just a part of it or drive to see the highlights as you learn the fascinating and troubling story of the men and women executed for sorcery. 4. Take a selfie with Eric Morecambe. A slightly larger-than-life statue of the comedian, one half of Moreambe and Wise, stands on the promenade at Morecambe, the town where he was born. Your kids might not remember his comedy genius but it seems none can resist having a photo taken with this quirky bronze which attracts queues on busier days in the town. 5. See the sunset at Morecambe Bay. Dubbed “nature’s amphitheatre” by the local tourist organisations, Morecambe Bay accounts for a huge part of the Lancashire coastline and stretches into neighbouring Cumbria. Known for its mud flats and cockles, it is also a fantastic place for birdwatching (note the binoculars on the statue of Eric Morecambe) and beautiful sunsets. A late-afternoon or evening stroll on one of its many pathways should reveal both. 6. Ride a rollercoaster at Blackpool. 7. Head up the Blackpool Tower. Modelled on the Eiffel Tower but about half the height at 158 metres tall (the Eiffel Tower is about 300 metres), the Blackpool Tower was opened in 1894. As a tourist attraction it’s still going strong and as well as offering panoramic views over the sea and Lancashire coast, it is linked to other attractions including the iconic Blackpool Tower Ballroom, a circus and a gruesome dungeon attraction. 8. Go birdwatching at RSPB Leighton Moss. This reserve is home to the largest reedbed in north-west England and also has woodland, limestone grassland, mudflats and saltwater lagoons. This diverse range of habitats mean it is home to a wide variety of birds from bitterns in the wetlands to tawny owls in the woodlands and curlews in the lagoons. 9. Cruise on the canals and waterways. The Leeds-Liverpool Canal meets the Lancaster Canal in Lancashire and provides a peaceful way to explore the county and its history. It’s also a great way to see wildlife. You can take to the water on a guided canal boat cruise or explore on foot by following the tow paths along its banks. 10. Tuck in to a Lancashire Hotpot. Lancashire’s most famous dish is a staple on most pub menus so if you’re heading for a meal out during your glamping or camping holiday in Lancashire, this is the dinner to go for. Traditionally made with lamb and topped with sliced potatoes, this hearty one-pot meal makes the most of Lancashire produce and tastes pretty good too. Lancashire, camping in lancashire at Campsites in Lancashire, Love camping? Lancashire could be the camping destination for you. Rural camping with scenic views, romantic retreats, family-friendly woodland camping, you won’t be disappointed with a camping holiday in Lancashire.